The 2019 CONCACAF Gold Cup will bring the United States men’s national team face to face with the author of its biggest nightmare. Wednesday’s draw revealed the USMNT has been grouped with Trinidad and Tobago, which beat the Americans 2-1 in October 2017 to deny them a World Cup berth for the first time since 1986. The United States will also face Panama and Guyana in Group D. Panama, along with T&T and the USMNT, reached the fifth and final round of 2018 World Cup qualifying, which features six teams and is colloquially known as the “Hex.” No other Gold Cup group has more than one team that made it that far. Mexico headlines Group A, which also includes Canada, Martinique and Cuba. Group B features Costa Rica, Nicaragua, Haiti and Bermuda, while Group C has Honduras, Jamaica, El Salvador and Curaçao. The biennial championship of North and Central America and the Caribbean has been contested 14 times, with Mexico winning seven titles, the United States winning six and Canada winning once. The USMNT is the defending champion, having raised the trophy in 2017. Traditionally, Gold Cups played the year after the World Cup have been more competitive, with a berth in the FIFA Confederations Cup available to the winner. Each nation has therefore fielded its best team possible. #USMNT drawn* against Panama, Trinidad & Tobago and Guyana in Group D of this summer’s CONCACAF Gold Cup. Relatively tough first round for the U.S. 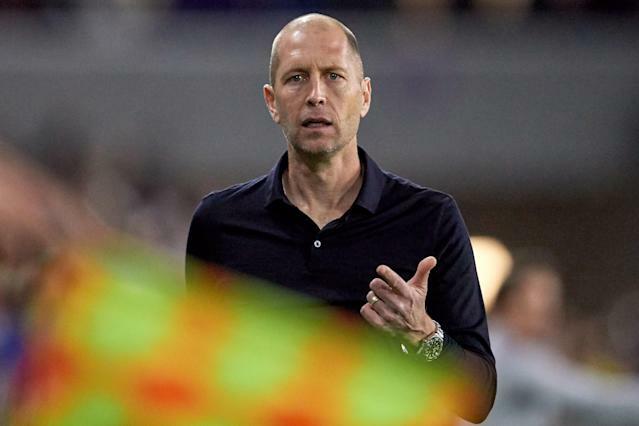 It won’t be easy for Berhalter and company. Certainly not at the start.